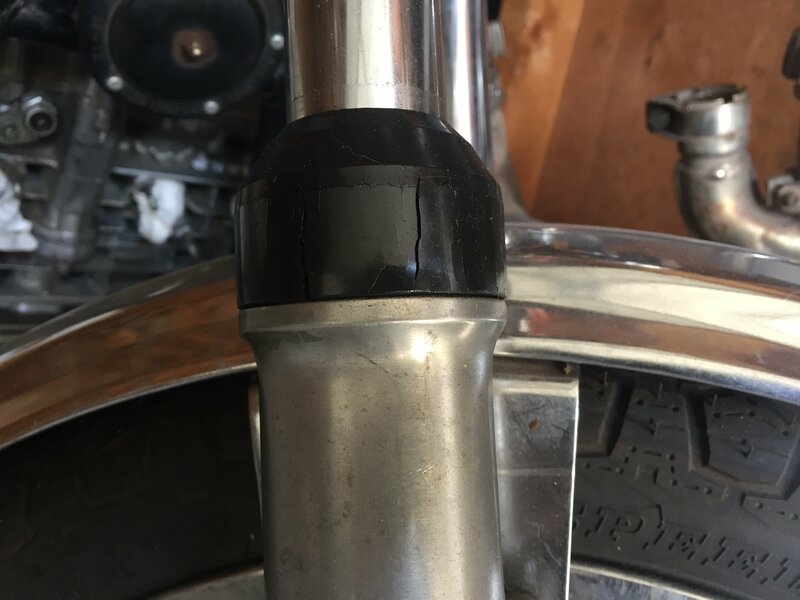 If your motorcycle’s forks are in rough shape or if it hasn’t been ridden in a long time, the fork seals will begin to leak. It’s also good practice to change your fork oil regularly to keep your front suspension in good condition. Drain the fork oil. There is usually a small drain bolt at the bottom of each fork. Remove the front wheel, front brake, and front fender. Tie up your brake caliper so it doesn’t hang from the brake hose. Loosen the fork clamp bolts at the top and bottom of the triple tree. Unscrew the allen bolt at the bottom of the fork. Remove the top nut in the fork. Use circlip pliers to remove the circlip. Take out the fork spring and fork internals. Remove the fork seal retaining circlip. You may need to push the fork in and out sharply a few times to remove it from the fork leg. Remove the old fork seal from the leg. Instal the new fork seal. You can grease it to help it slide. Tap in the seal and reassemble your forks. Refer to your motorcycle shop manual for the proper amount and weight of fork oil to use. If you want stiffer fork suspension, you can add a heavier weight fork oil or get stronger fork springs. Loosen the fork clamp bolts slightly so the forks can twist. Knock the front wheel against something sturdy until the handlebars are aligned. Tighten the fork bolts to the proper torque. If the triple tree requires a “D” washer in between the fork clamps make sure it is in there, otherwise you could over-tighten and crack the triple tree. If you find your bike’s handling isn’t great after servicing your forks, you may still need to replace the wheel bearings and steering stem bearings. OEM fork boots can be pretty pricey. 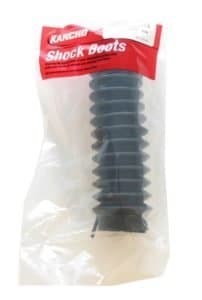 If you’re looking for a cheaper solution, you can fit Rancho truck shock boots pretty well. You can find Rancho shock boots online or at your local auto parts store. You’ll need to cut them down a little bit and secure them with a cable zip tie. Cut/remove a rib from the top and bottom as needed to fit your forks. The bottom slides over the fork legs and the top is affixed with the cable tie. Cut and trim as needed for aesthetics.